Important commitments like work and family are usually a priority, and meeting these effectively means there is little time and energy left in people to deal with complex projects like property removals. One such situation though would give you the perfect reason to use our professional and affordable removal services in Millwall. 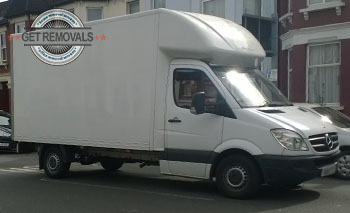 We handle a wide range of domestic removals, business removals, office removals, piano and furniture removals, junk and rubbish removals and many more. Naturally, we employ only specially trained movers and have experienced drivers behind the wheel of our specially equipped removal vehicles as this is the only way to ensure the safe handling, no-damage transportation of your items, as well as timely completion of the entire removal project. For more protection of your belongings and extra peace of mind, we strongly recommend using our specialised packing service. If customers wish to self-pack, which is also an option, we will supply the necessary packing materials at a very reasonable price. Transportation of items in our care will take place in clean, well maintained removal vehicles. We have vans of different size, wheelbase and payload capacity. Our vehicles are fitted with GPS navigation and make use of hoists and latching equipment necessary for lifting and securing heavy objects. 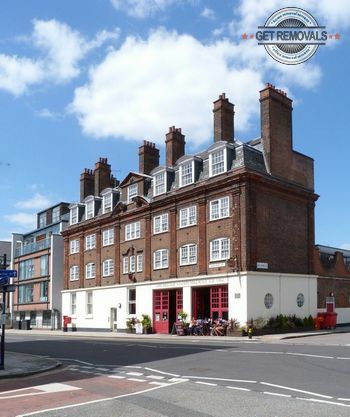 Cost wise, Removals Millwall is able to offer private and business customers the most competitive and fair service prices amongst removal companies in the E14 area. Furthermore, we provide all customers with individually prepared, free of charge quotes and flexible pricing that meets the budget requirements set forth. There will be no hidden fees or unmentioned additional charges. The company holds full liability insurance. Offer flexible and convenient booking hours during all days of the week, including Sundays and public holidays. Since you don’t have to worry about packing and stacking boxes (we will do that for you) you have a chance to learn some of the history and facts relating to Millwall. The area has a strong maritime connections and history in shipbuilding and dockside works. Millwall became heavily industrialised during the nineteenth century. This also increased housing options in the area as there were a few thousand dock workers and shipyard workers living in the district. Millwall though was prone to flooding during the nineteenth century and then mayor William Cubitt ordered extensive land reinforcement in order to prevent flooding from snowmelt and high spring tides. As mentioned Millwall has a strong history of shipbuilding. Back in eighteen fifty eight, the local shipyard was responsible for the construction of the largest ever ship of its time – the SS Great Eastern. The vessel measured at the staggering two hundred and eleven metres. This was a problem as the river wasn’t wide enough to accommodate its bulky body, thus the vessel had to be launched sideways.